George Walton -DS, as Chief Justice of the Georgia Supreme Court. 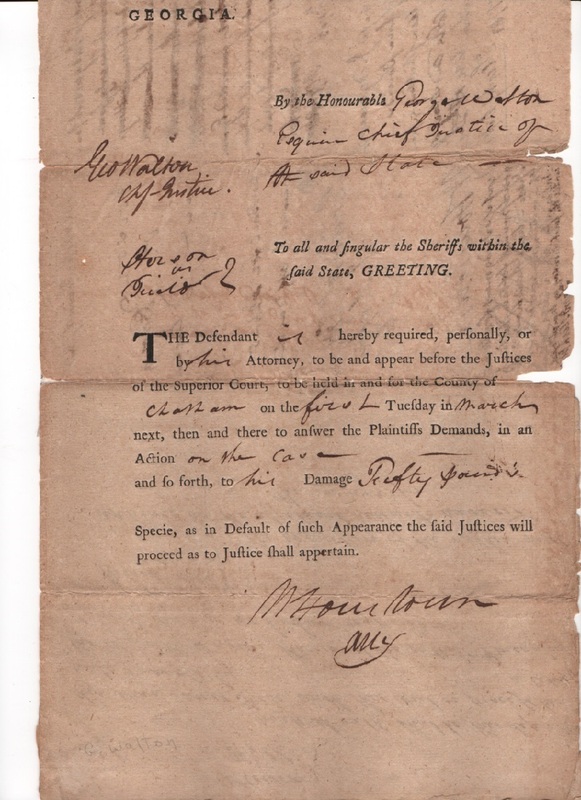 Walton approves a summons in a civil case for the First Tuesday of March 1783. He signs it “Geo Walton/ Chf-Justice.” There is some archival reinforcement on the back along one fold and chips along two folds. 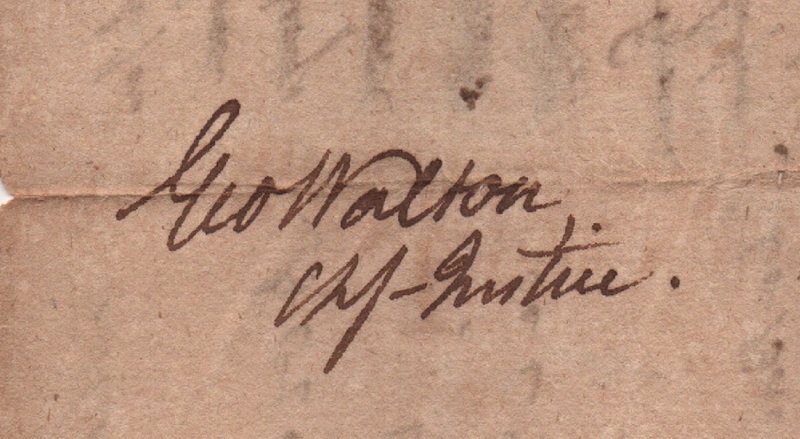 There is a fold across Walton’s signature and the start of some fold separation which can be repaired. The signature itself is a strong example with the fold separation just touching the starting stroke of his first initial.